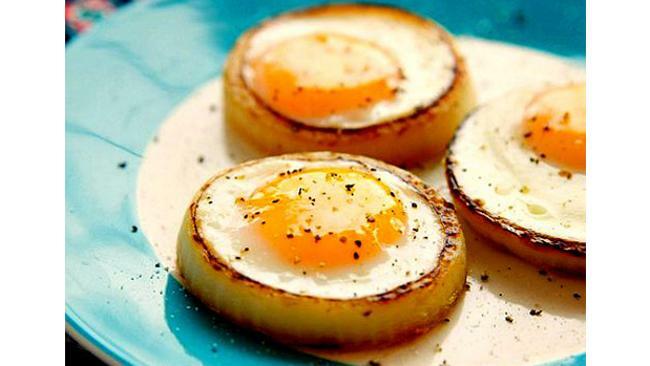 There are so many ways to make a perfect even fried egg, and here is another trick to make. This video from Jumble Joy demonstrates about halfway through the video, this method works for way more than just sunny-side-up. 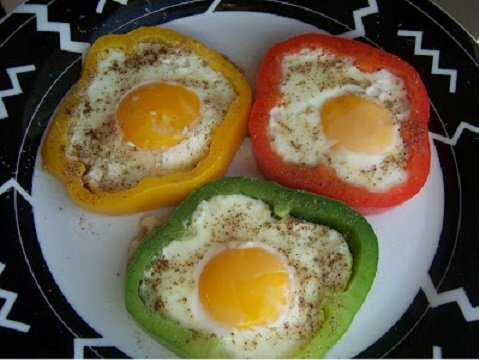 There are more other ways to make fried egg with similar trick, but this one with lid get heated while cooking will make the fried egg more crispy-edged and flavored! But be cautious of the heated lid while serving!! 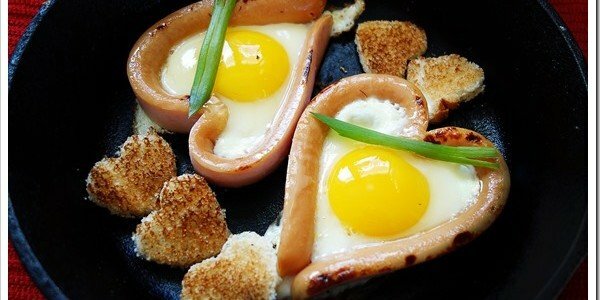 Cut Sausage in half and make it into heart for egg. 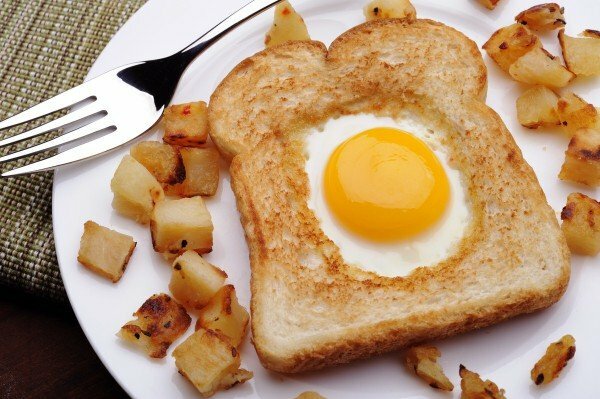 Hollow toast in the middle, serve with egg sunny up or as sandwich.